Apple’s AirPort Extreme Base Stations (AEBS) have never been a bargain, but they’ve always offered good speed and range. What’s really set them apart, however, is ease of configuration and the ability to connect remotely using Back to My Mac. There is a third alternative, however: Leave your existing base station in place, and add a Wi-Fi router to your network. With this option, you still get the benefits of Back to My Mac and the ability to use AirPort Utility. But you’ll also get a speedy, robust dual-band Wi-Fi router and save a few bucks at the same time. You may also wind up with a more flexible network, since you can have your AEBS in one location and your new Wi-Fi router in another, where it may provide a better signal to your Wi-Fi devices. The trick comes in letting each device know what network chores it’s responsible for, so that they don’t conflict with each other. Letting both devices act as routers can lead to network problems and will prevent wireless and wired devices from seeing each other. So in order to continue to use AirPort Utility and Back to My Mac, we’ll let the AirPort Base Station continue to route traffic on our network, and turn off that function on our Wi-Fi device. Let’s consider placement of our routers. In my house, my cable modem is connected to the Internet on a networking shelf in my basement. My current AEBS is connected to the cable modem and I have several other devices wired to it, including a VoIP box for my phone system and a line to a basement office. In other words, the basement location serves me very well there—and, in fact, would be hard to move. The Archer C8 has nice features and is cheaper than a new AirPort Extreme. What that location is not good for is providing a strong Wi-Fi signal to the rest of my house. In fact, I had previously used an AirPort Express to extend coverage. Because of this, I want my Wi-Fi router to be located on the first floor. (For simplicity’s sake, I’ll continue to refer to the Wi-Fi device as a router, even though it won’t be providing that function.) This is another benefit of not replacing my AEBS—it gives me the flexibility to put my devices where it makes the most sense (provided, in this case, that I can run an Ethernet cable to it, as I discuss later). This means I can take my aging, slow AirPort Express off the network, where it could have slowed down all my wireless devices. Now that we’ve settled on a location for our devices, we’ll need to configure them. Let’s start with the AirPort Extreme Base Station, since we’re already familiar with it and there’s not a lot to do here. Connect your computer to the AEBS via Ethernet. (Remember, we’ll be turning off the Wi-Fi radio, so, in a very short time, that will be the only way to connect to it.) 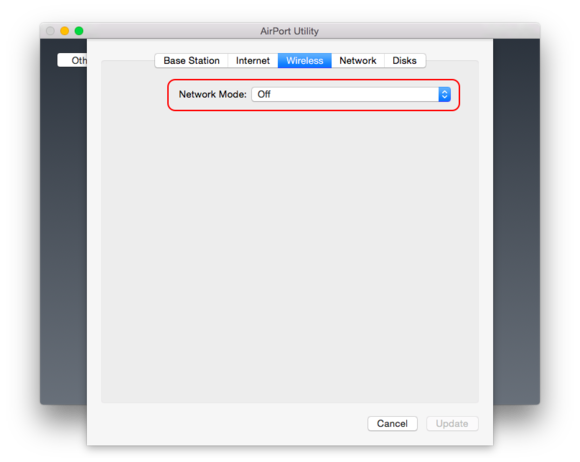 Open AirPort Utility, click on the icon for your base station, and click Edit. Select the Wireless tab, click the pop-up tab next to Network Mode, and choose Off. Click the Update button and you’re done. The only thing you’ve done is to turn your base station’s Wi-Fi radio off. Nothing else changes—your AEBS still provides all the functions it did before, only now it can only supply them to devices that are connected to it by Ethernet. An older base station’s implementation of Wi-Fi can slow down your whole network. Turn it off here and let your new Wi-Fi router handle the job. Follow the manufacturer’s instructions to set up your Wi-Fi network, including its SSID name and security settings. In order to work with our upgraded setup, you’ll need to turn off the Wi-Fi device’s routing function. Depending on your device, this may be under an Advanced tab, but look for a section that says DHCP settings. 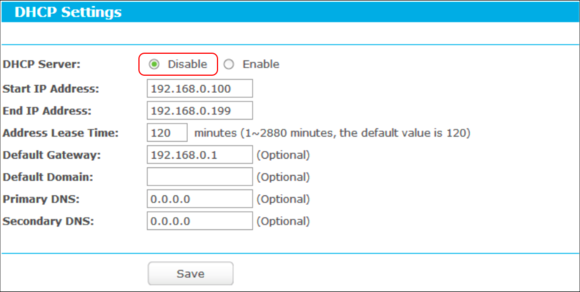 Here, choose the setting to disable the DHCP server. It’s not quite as bad as crossing the streams, but letting two devices act as routers on the same network can lead to bad things. Don’t do it. You still have one more very important step. 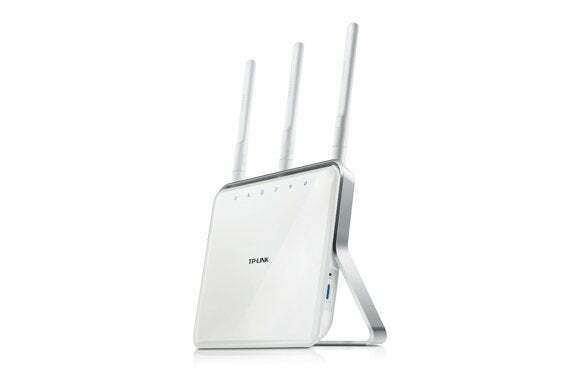 Normally, when you set up any router, you connect it to the Internet through the WAN (Wide Area Network) port. It tells the device that this is the source you should be using to distribute IP addresses to all the devices you’re serving. But our Wi-Fi device isn’t “serving” anything anymore. It’s simply passing the connection from the remote devices to the base station. So instead, connect an Ethernet cable from your AirPort Extreme Base Station to the LAN (Local Area Network) port of your Wi-Fi device. That tells your Wi-Fi device that it’s nothing special—just another device on the base station’s network. An ego-deflating message for your Wi-Fi device, perhaps, but it will make for a much happier network. Click Save on your Wi-Fi device’s configuration page, click OK to let it reboot and voila—you’ve got a thoroughly modern, super speedy network that still has all the ease of use of your comfy old base station. There are a couple of things to note with this kind of setup. Because your Wi-Fi device is now just a peer on your network, external drives and printers connected to its USB ports won’t be seen by other devices. On the plus side, the device will act as a network switch, so you can hard wire other devices to it via its remaining LAN ports. You’ll just need to leave the WAN port empty. If you’re willing to do a little more configuring at the beginning, a combo setup like this can give your network extra speed, a few more Ethernet ports, and a lot more flexibility. The fact that it can also save you money doesn’t hurt either.